Handmade in beautiful soft natural wool and a cashmere mix this luxury dog bed is just perfect for little paws that just love to nap. This stunning luxury dog bed is designed particularly for the miniature and small to small/medium dog breed types in mind. We do not recommend the Little Nap for any other than miniature or toy breeds. 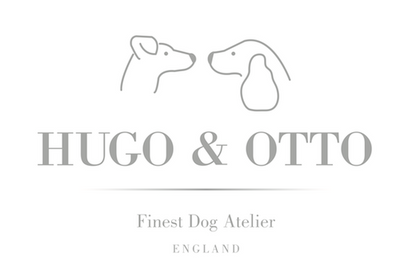 Handmade in 100% natural wool and as many organic components as possible to offer your dog the softest of beds to dream their nights away. The felt is made from boiled wool in a stunning natural colour with inlaid Cloud7 logo stitched onto the front section in a pale blue to pick out the blue in the cashmere & wool mix cover of the mattress. The Little Nap side cushions and base mattress all pop out of their pockets for ease of cleaning and it is as light as a feather to pick up and move. Why choose a dog bed with side walls? Some dog breed groups just want to feel safe and secure with their heads way down into layers of duvets. Other breed types love to lay their heads onto the sides of a bed just to have their necks supported but we would say that the side bolster type bed helps them to keep one eye open for any special treats. Please email: sales@hugoandotto.com should you need any advice. Standard rates are costed for UK & Europe only @ £15.00 - heavier & larger parcels may have to be adjusted.